Colectica allows you to manage questions independently of surveys in which they may be used. 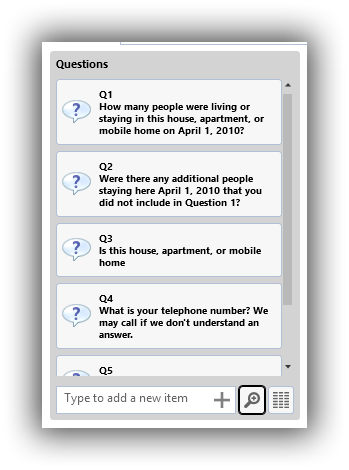 This allows you to use the same question in multiple questionnaires, and to create question banks that can be shared within your organization or publicly. Starting at the Home Page, navigate to the Local Items ‣ Data Capture ‣ Questions section and choose Question Groups. 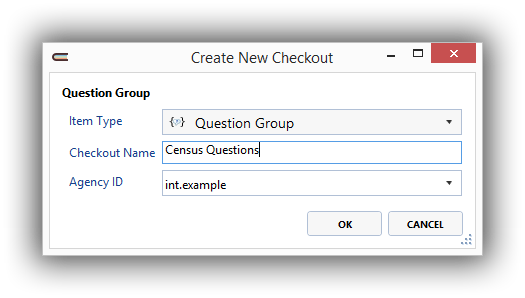 Click the Add button to create a new question group. Enter a name for the group of questions. Your new question group will be opened. To add questions, use the Questions list. You can add new questions by typing some question text and pressing Enter. To learn how to use the item list controls, see Reference Items. To edit a question’s details, click the question and the question editor will open. After creating questions, you can use them in a survey.